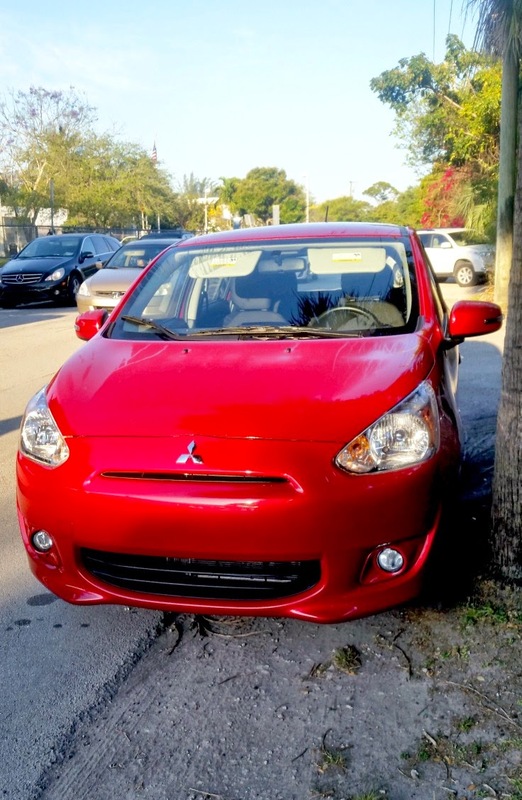 Disclosure: I was provided a Mitsubishi Mirage for my personal use for a week. All opinions are mine alone. As many of you know, we are a one car family. We could afford to have two but really don't need two cars. When we need a bigger car (for trips or when we have all 80 or so kids with us) we just borrow my dad's van. There is that one week a year though when having two cars comes in handy and that's the week of the Hispanicize conference here in Florida. Hispanicize is the largest Hispanic social media conference in the nation and I wouldn't miss it just because I didn't have a way to get there. This year, I borrowed the cutest, funnest car I have driven in a while: The Mitsubishi Mirage!! Adrian was thrilled when he saw Roxy. Having Roxy around allowed Adrian and I some quality time since it was just he and I riding around in it most of the week! Roxy was put to the ultimate Miami test on Saturday morning: carrying our beach equipment! I went with both boys and fir our cooler, three beach chairs, 2 boogie boards, 1 beach bag and a bucket full of toys with plenty of space left remaining! 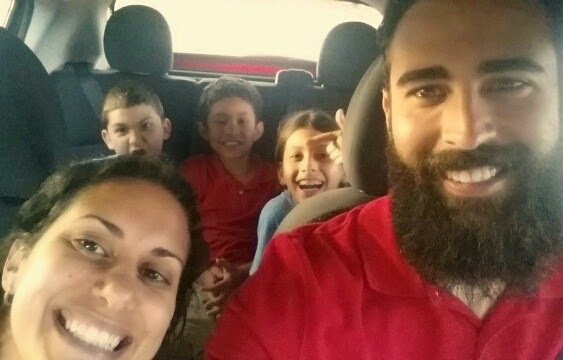 Now I know what you are thinking.....how did all of you (family of 5) fit in a small car like the Mirage? Well just take a look! Wait...the Mirage also transported this crazy crew to buy the latest video game. I'm telling you the space in this car is like magic. 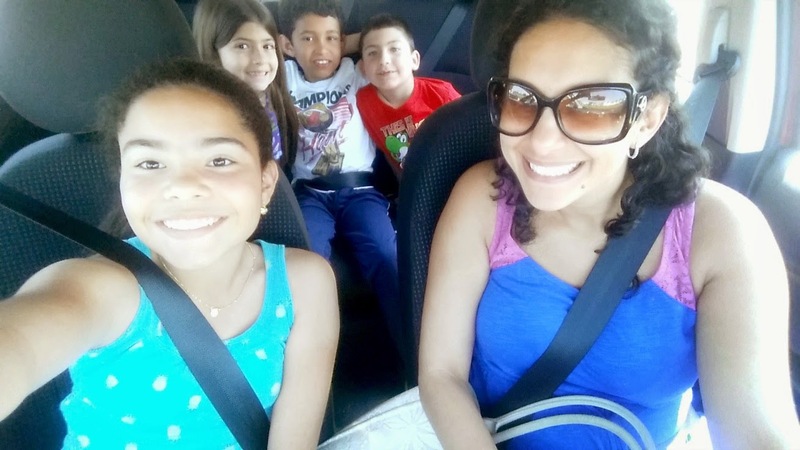 5 seatbelts meant any combination of our insane family could ride in the car at any time! 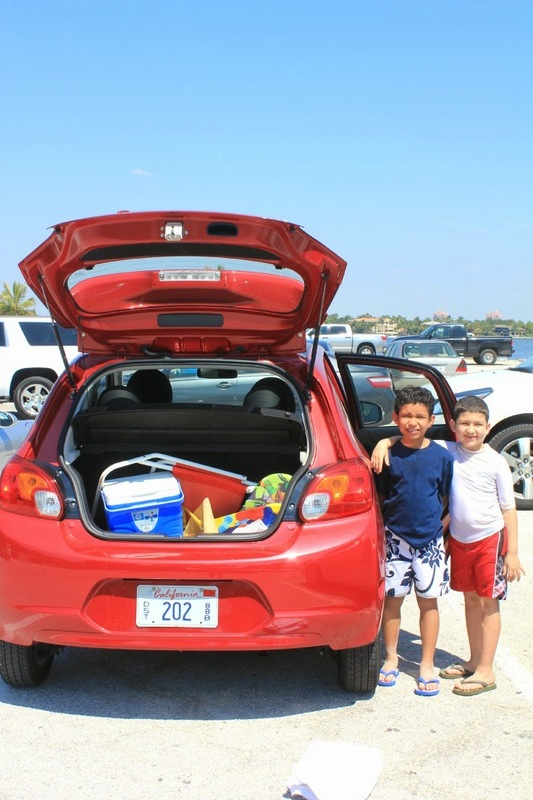 The 2015 Mitsubishi Mirage starts at $12,995, making it SUPER affordable! It's so affordable that it allows the buyer to save when purchasing a car and thereby spend all the hard-earned money on other things that are important to them!! 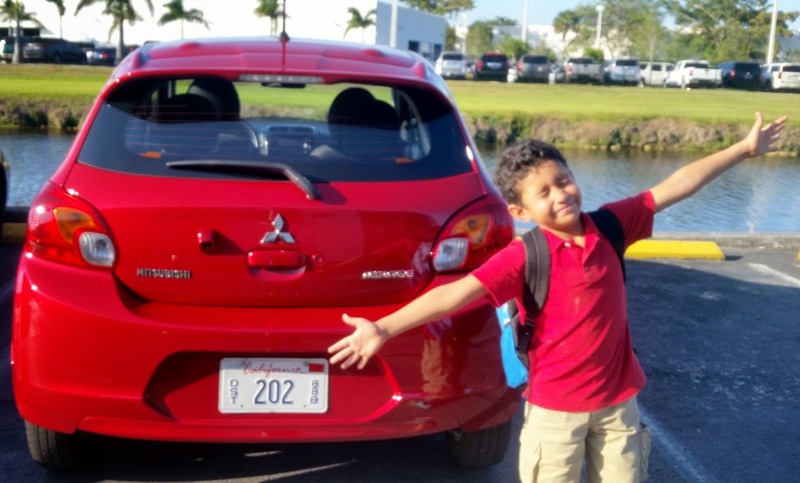 Honestly, we had a great time driving around the 2015 Mitsubishi Mirage and I might have wiped away a tear or two when I had to give it back!